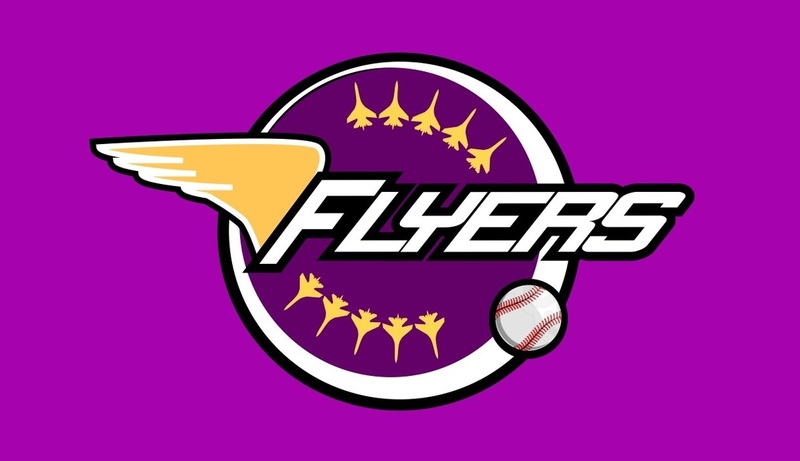 The Flyers Softball Team began life in 1994 as the Harvey Ballbangers and was formed in time for the inaugural Jersey Softball Association League, which began on 11th May of that year. The basis of the team was mainly players from the disbanded Fort Regent Cannons, together with new players to the game from Alex Picot and Company. That first season shaped the philosophy of the team, supporting team-mates and enjoying the game, which remains to this day. Although there have been teams with more ability in the League, none have surpassed the team ethic displayed by the Flyers. In fact, the team’s camaraderie over the years has been the envy of many and is the main reason for its longevity. The Flyers have made a large contribution to the setting up of the Jersey Softball Association and to the continual success of the League. Team members have been an integral part of Jersey Softball since its inception, by taking positions on the Executive Committee, coaching and managing the Island teams and also umpiring. A number of team members have also represented the Island and the Channel Islands and won Most Valuable Player and other awards over the years. The Flyers are the only surviving team from the League's first season. During the last twenty one seasons, the team has played over 280 games and nearly 200 players have donned the Flyers' uniform. 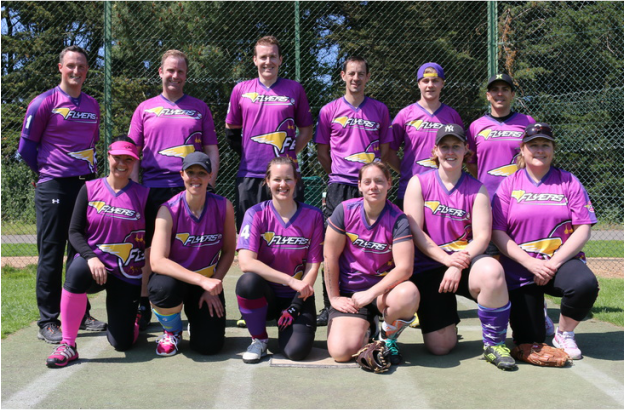 The year 2013 saw the Team compete in it's 20th season in the Jersey Outdoor Softball League and celebrated this anniversary along with the Jersey Softball Association. To help celebrate, the team donned a brand new Adidas uniform, which was admired by a number of teams in the League. Maintaining the use of purple as the team's primary colour, a logo and badge were specially designed to give it the Flyers' custom look. The team celebrated in the best way possible, by winning the Second Division. In addition, Chris Le Lion and Michelle Thomson received the Second Division Male and Female Most Valuable Player Awards.